Over the past three seasons, 210 teams have participated in bowl games. 47 of those teams had losing records in the years immediately preceding their bowl game. This semi-regular piece will showcase the losers from 2013 who just might find themselves participating in Capital One Bowl Week in 2014. For our eleventh installment, we return to the ACC where we check in on the NC State Wolfpack. Summary: So you've decided to can your coach after three consecutive bowl bids. You're not into this mediocrity situation. No sir. You are NC State. You expect better things of yourself. Why, you last won the ACC in...1979. Wow, has it been that long? Three and half decades sure go by mighty quick. Regardless, you just hitched your wagon to a bright mid-major star. What could go wrong? The season began promisingly enough with a beatdown of a Louisiana Tech team that had won nine games the season before. However, a sign of trouble appeared on the horizon when the Wolfpack needed a late field goal to slip by IAA Richmond. Twelve days later, the Wolfpack shook off the Richmond game and hung tough with a strong Clemson team in a nationally televised Thursday night conference game. The Wolfpack followed that strong showing up with another mid-major bludgeoning in Raleigh, this time of Central Michigan. So after a quartet of games, the Wolfpack stood 3-1, with the lone loss coming to a Clemson team that would finish the season with a scant two defeats. And then...the Wolfpack would not win another game all season. They lost to great teams (Florida State beat them by 32), they lost to bad teams (Wake Forest beat them by 15), they lost to mid-majors (East Carolina beat them by 14), and they even lost to...Duke! All in all, it marked the first time an ACC team other than Duke went winless in the conference since Wake Forest in 1995. It should be noted, Virginia kept them company at the bottom of the standings, finishing without a conference win for the first time since 1981. Return punts. You have to peruse a litany of statistics before you find something the Wolfpack was positively proficient at. However, punt returns is an area where NC State excelled. As a team, the Wolfpack averaged over 13 yards per return (fifteenth nationally). Senior receiver Rashard Smith did most of the damage, averaging a robust 14.12 yards per return and taking two punts to the house. If it weren't for the exploits of another Tar Heel state return man, Smith may have received a little more national notoriety. What Didn't the Wolfpack Do Well? Play defense. NC State allowed an in-conference worst 6.29 yards per play in 2013. After some early success against Clemson (surprising) and Wake Forest (not so surprising), the Wolfpack allowed 6.62 yards per play to their final six league opponents. In their final six games, five ACC clashes and an in-state battle with East Carolina, the Wolfpack allowed nearly 40 points per game (39.2). The following table lists NC State's performance (in conference play only) in a few key categories and their respective conference rank in those categories. To help you read the table here is a handy translator. Conf: The Conference NC State played in. With the ever-changing college football landscape, this is helpful. In their final three seasons under Tom O'Brien, the Wolfpack were essentially a shade below average. However, the path they took to get their each season was different. After being average on both sides of the ball in 2010, the Wolfpack let Russell Wilson pick up and move to Wisconsin. With future Tampa Bay draft pick (and statue) Mike Glennon under center, the offense cratered, falling to second to last in the ACC. The defense picked up the slack though, ranking second in the conference. A testament to the strength of that defense is that four players were taken in the following spring's NFL draft. Perhaps not surprisingly, with the loss of so much talent, the Wolfpack defense faltered in 2012, ranking in the bottom third of the league. In his second season as a starter, Mike Glennon and the Wolfpack offense improved, ensuring the team did not endure a disastrous season. That would happen in 2013. Losing Glennon to the draft, the offense regressed again and with with the loss of star defensive back David Amerson and to a lesser extent Earl Wolff, the defense ended up being the worst in the ACC. The Wolfpack have taken the SEC route in terms of non-conference scheduling in 2014. Their opponents include a IAA school (Presbyterian), a pair of IA neophytes (Georgia Southern and Old Dominion), and South Florida. Old Dominion was a solid IAA program and finished 8-4 in their transitional year in 2013, but against the four IA teams on their schedule, they were outscored by over 20 points per game. Georgia Southern did memorably beat Florida last season, but were just 4-4 in their final season of play in the Southern Conference. South Florida could be a tricky game since it is on the road and Willie Taggart will have had an additional year to get the Bulls in gear, but anything less than a 3-1 mark in non-conference action would be a massive disappointment. The Wolfpack will likely need all the wins they can muster outside the conference because their ACC slate is not very forgiving. The Wolfpack host Boston College, Florida State, Georgia Tech, and Wake Forest in ACC play. The Wolfpack should be solid favorites against Boston College and Wake, and they have beaten Florida State three out of the last four times in Raleigh, but these Seminoles appear to have returned to elite status. NC State will probably also be an underdog to Georgia Tech meaning a split of their conference home games could be the best case scenario. On the road, the Wolfpack face Clemson, Louisville, North Carolina, and Syracuse. The Wolfpack will likely be prohibitive underdogs at Clemson, Louisville, and North Carolina, meaning their tilt in the Carrier Dome with Syracuse could be the difference between a bowl invite and another losing season. (Almost) every team that beat NC State in 2013 was good. NC State lost nine times in 2013. However, eight of those losses came to teams that played in bowl games. Wake Forest was the only team with a losing record to beat the Wolfpack in 2013. True, only three of those teams finished the season ranked (Clemson, Duke, and Florida State), but East Carolina won ten games, and North Carolina finished the season with a nice run after a 1-5 start. Don't get me wrong, NC State did not play an NFL-caliber schedule in 2013, but there were very few terrible teams on the schedule (and NC State crushed those teams for the most part). 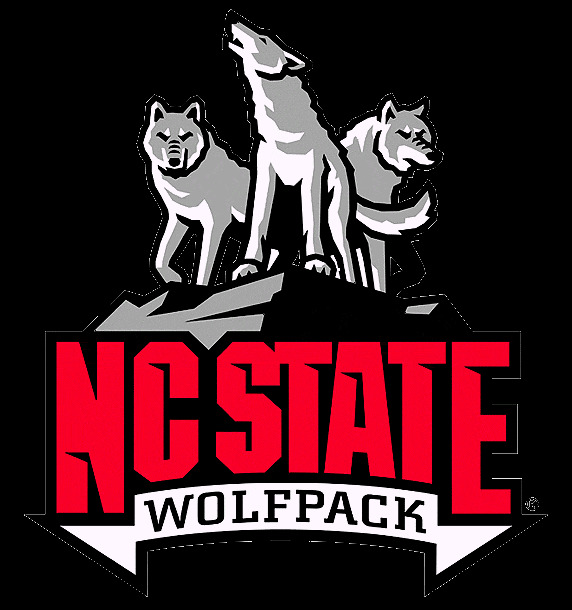 The Wolfpack were not your typical woebegone winless conference team in 2013. Duke teams of the previous decade would have killed to be as good as this NC State team. One thing is for certain, NC State will not go winless in the ACC in 2014. I have the utmost confidence in that. Realistically, NC State should finish at least 3-1 in their non-conference games, and a clean sweep of that slate would not be surprising. Once conference play begins, the Wolfpack face a quartet of very difficult games: Florida State, at Clemson, at Louisville, and at North Carolina. A return to the postseason will hing on whether NC State can continue their home dominance of Wake Forest (just one home loss to the Deacons since 1984) and Boston College (3-1 versus the Eagles in Raleigh as conference opponents). I think the Wolfpack will take that pair of games and pull off at least one other upset in their remaining six conference matchups (home to Georgia Tech or at Syracuse appear the most likely to me). Based on their non-conference performance, this will leave NC State with another six or seven win regular season, or exactly where they were under Tom O'Brien. Over the past three seasons, 210 teams have participated in bowl games. 47 of those teams had losing records in the years immediately preceding their bowl game. This semi-regular piece will showcase the losers from 2013 who just might find themselves participating in Capital One Bowl Week in 2014. 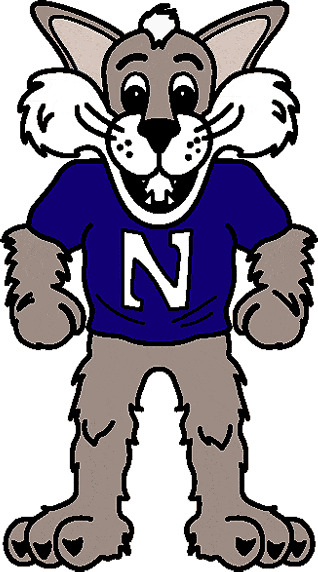 The tenth team we will examine is the Northwestern Wildcats. After a bye week, Northwestern hosted Michigan and nearly had the Wolverines beat until a hectic field goal forced overtime. The game would last three overtimes before the Wildcats were once again vanquished, extending their losing streak to six. There would be no bad breaks the following Saturday when Michigan State pummeled the Wildcats. Playing for pride in their final game, the Wildcats managed to finally eke out a close win, beating Illinois by three to finish 5-7. What Did the Wildcats Do Well? Score in the red zone. While the Wildcats featured one of the worst offenses in their recent vintage, they at least did a solid job of scoring once they got into the Red Zone. Only two teams, Florida State and Boston College, scored on a larger percentage of their red zone drives. However, while the Wildcats only failed to score on red zone trip twice all season, their scores were disproportionately field goals. 20 of their 46 red zone trips resulted in successful field goals. At over 43%, the Wildcats had the highest red zone field goal scoring rate of any team in the country. Leaving all those extra points on the field probably had a great deal to do with their 1-4 mark in one-score games. What Didn't the Wildcats Do Well? Score. Northwestern averaged 26.2 points per game in 2013. While this number compares favorably to their scoring averages in 2008 (24.4), 2009 (25.9), and 2010 (26.4), during which time they managed a cumulative 24-15 mark (13-11 in the Big 10), it is a bit deceiving. In their four non-conference games, the Wildcats averaged 41.3 points per game. Once conference play began, their scoring margin dipped to 18.6 points per game. After scoring 30 in their conference opener against Ohio State, the Wildcats averaged just 17 points per game through the rest of Big 10 play (13.7 points against teams not named Illinois). Bookending Big 10 play against Ohio State and Illinois, the Wildcats scored seven offensive touchdowns. In their other six league games, they also scored seven offensive touchdowns. The following table lists Northwestern's performance (in conference play only) in a few key categories and their respective conference rank in those categories. To help you read the table here is a handy translator. Conf: The Conference Northwestern played in. With the ever-changing college football landscape, this is helpful. YPP: Yards per play. The number of yards per play the Wildcats averaged in conference play. YPA: Yards per play allowed. The number of yards per play the Wildcats allowed in conference play. Notice anything about the final yards per play numbers from Northwestern? In 2010, 2011, and 2013, the Wildcats pretty much fielded the same team on a per play basis. Sure, the offense was stronger in both 2010 and 2011 than 2013, while the defense was stronger in 2013, but the overall performance was about the same. The difference between being 3-5 in the Big 10 and 1-7 in the Big 10 was pretty much close game randomness. The Wildcats were 3-2 in one-score conference games in 2010. They were 1-1 in such games in 2011. In 2013, they were 1-4. For those of you mathematics types out there, that means the Wildcats were 0-3 in conference games decided by more than a touchdown in 2010, 2-4 in such games in 2011, and 0-3 in 2013. A break here or there in 2013, and Northwestern's bowl streak is going strong at six. Other interesting Wildcat factoids? While Northwestern has hardly truly contended for a Big 10 title over the past four seasons, they have won 28 games, and played in the postseason thrice despite producing just two draft picks in that span. Who were those esteemed gentlemen you may ask? Tight end Drake Dunsmore and wide receiver Jeremy Ebert, who were both selected in the seventh round in 2012. In the meritocracy of college football, you don't get extra credit for doing more with less, but it should be noted that Illinois has had twelve players drafted (including a trio of first rounders) and has but a scant seven Big 10 wins in that span (compared to twelve Big 10 wins for the Wildcats). The 2014 non-conference schedule has its share of pitfalls for the Wildcats. Northwestern opens the 2014 season by hosting Cal. Last season the Wildcats beat Cal in Berkley by two touchdowns. However, the Golden Bears will be in their second season under Sonny Dykes and should improve on their 1-11 mark last season. The Wildcats then host Northern Illinois, a strong mid-major team with a 46-10 record over the past four seasons. The Huskies will certainly miss Heisman trophy finalist Jordan Lynch, but this game will be much more challenging than facing a low-level team from the Sun Belt. Northwestern's third non-conference foe is Western Illinois. The Leathernecks, despite their imposing nickname, are a IAA school and should move Northwestern one win closer to bowl eligibility. The Wildcats play their final non-conference game late in the season when they travel to South Bend to face the Fighting Irish. Notre Dame and Northwestern have not played since the magical 1995 season. Northwestern will probably need a little more magic to beat the Irish on their home field. Realistically, a sweep of all four non-conference games is unlikely. Grounded Northwestern fans should be content with a 3-1 mark in non-conference action. Once conference play begins, the Wildcats,will host Illinois, Michigan, Nebraska, and Wisconsin. While the Wildcats will likely be underdogs in three of those games (all but Illinois), they have played Michigan and Nebraska tight in recent seasons. While they are just 1-5 against the Wolverines and Cornhuskers since 2011, four of their five losses have come by a touchdown or less. At worst, the Wildcats should split their home conference games. Their road Big 10 games come against Iowa, Minnesota, Penn State, and Purdue. Once again, Northwestern will likely only be favored in one of these games (Purdue), but the other three are hardly lost causes. Three league wins should be the floor for this team, and with the right maturation and a few breaks, the Wildcats could win more than they lose in conference play. Track record and luck. Prior to 2013, the Northwestern Wildcats had been bowl eligible for six consecutive seasons (they missed out despite six wins in 2007). The worst SRS score they have compiled since 2007 is -3.70, meaning they would be an underdog by a little more than a field goal on a neutral field against an average college football team. In fact, their SRS in 2013 was 3.97, the third highest of the Pat Fitzgerald era. With a little better luck, and a better job of finishing drives, the Wildcats can return to the postseason in 2014. That being said, how likely are the Wildcats to do a better job of finishing drives? Read on! As mentioned earlier, the Wildcats led the nation by having over 43% of their red zone drives end in field goals. Since 2008, seven teams in addition to Northwestern have seen more than forty percent of their red zone drives end in successful field goals. They are listed below, along with their scoring averages for the year in question, and their scoring averages the following season. What does this portend for Northwestern? Well, the picture is a little muddy. Four of the seven teams improved their scoring average the following season and three saw their average decline. However, most of the losses and gains were relatively miniscule. Only Virginia in 2009-2010 and Colorado State in 2010-2011 saw their averages climb significantly. The good news for Northwestern fans is they are unlikely to see a significant decline in their scoring averages. 26 points, even in today's environment, will win you some games. The schedule is somewhat daunting with just a single layup on paper, but the Wildcats have been a consistent winner over the last decade. Look for the Wildcats to be back in the postseason and who knows, perhaps they can run their bowl win streak to two. Over the past three seasons, 210 teams have participated in bowl games. 47 of those teams had losing records in the years immediately preceding their bowl game. This semi-regular piece will showcase the losers from 2013 who just might find themselves participating in Capital One Bowl Week in 2014. For our ninth installment, we'll stay in the Mountain West and examine the Wyoming Cowboys. Summary: The first four games of the 2013 season played out about as well as any practical Wyoming fan could have hoped. The Cowboys opened the season losing by a mere field goal at Nebraska. Their previous five run-ins with BCS conference foes under Dave Christensen had all resulted in grisly defeats, with each coming by at least 20 points. Shaking off the tight loss, the Cowboys returned home and shredded Idaho and Northern Colorado (IAA) by 32 and 28 points respectively. They then opened Mountain West play on the road against Air Force, a team they were just 1-6 against since 2005. They scored 56 points against the Falcons, the high-water mark under Christensen at the time, and won by 33. A third of the way through the season, the Cowboys seemed at worse to be a bowl team, and at best a contender in the conference for the first time since the days of Joe Tiller. The exuberance surrounding the team would last exactly one week. In their fifth game, the Cowboys traveled to San Marcos to face Texas State, a team in just its second year of IA football. In a sign of defensive deficiencies to come, the Cowboys allowed 42 points to the Bobcats and dropped to 3-2. They beat New Mexico in a high-scoring affair the following week, and then things got ugly. Over their final six games, the Cowboys allowed more 50 points than three times (two other times they allowed 48), scored ten points or fewer three times, and won just once more. The win came in overtime, at home, against a Hawaii team that won just once all season. The Cowboys canned Christensen and hired a IAA wunderkind in Craig Bohl. Alright, maybe he isn't a wunderkind, but he has been quite successful. What Did the Cowboys Do Well? Score...sometimes. The 2013 Cowboys were the highest scoring team of the Dave Christensen era. His charges averaged 31.3 points per game, about four and a half more than they averaged in 2012. However, outside of the Hawaii game, the Cowboys struggled on that side of the ball in the season's final month. In their other three November contests, they scored ten against Fresno State, seven against Boise State, and seven against Utah State. Over the first two months of the season, the Cowboys had been averaging a robust 36.5 points per game. What Didn't the Cowboys Do Well? Stop the pass. The Wyoming defense ranked eighth in yards per play allowed in the Mountain West. With twelve teams in the conference, that is not a terrible rating. However, when it came to stopping opposing quarterbacks, Wyoming was among the worst in the nation. For starters, they allowed 32 touchdown passes on the season. Only two teams, Colorado State (33) and Idaho (40) allowed more, and Colorado State played an extra game. In terms of yards per pass, the Cowboys ranked 101st, allowing 7.9 yards per throw. In terms of quarterback rating, a flawed, but useful statistic, the Cowboys ranked 115th. The pass defense was particularly atrocious in the final eight games, over which the Cowboys allowed 27 touchdown passes and a nearly unheard of 8.8 yards per pass. The following table lists Wyoming's performance (in conference play only) in a few key categories and their respective conference rank in those categories. To help you read the table here is a handy translator. Conf: The Conference Wyoming played in. With the ever-changing college football landscape, this is helpful. YPP: Yards per play. The number of yards per play the Cowboys averaged in conference play. YPA: Yards per play allowed. The number of yards per play the Cowboys allowed in conference play. Despite the vast difference in their overall record, the 2010 and 2011 Cowboys were basically the same team on a yards per play basis. They were a little worse than average in comparison to their Mountain West brethren in both seasons (remember the league had nine and eight teams in both seasons, not the twelve it currently counts as members). How did they achieve such divergent results? The 2010 team was 0-3 in one-score conference games, while the 2011 team was 3-0. In addition, while the 2010 team was hardly unlucky in regards to turnovers (an in-conference margin of +2), the 2011 team was +10 in just seven games. Despite the winning record, the Cowboys were a good bet to decline in 2012 thanks to their performance in one-score games and their resplendent turnover margin. Sure enough, their record fell, but perhaps more troubling, the underlying performance also cratered. Their yards per play margin befitted a team that was probably worse than the 3-5 mark they achieved. Judging by how far they fell on a play by play basis in 2012, 2013 could certainly be deemed a success. The Cowboys improved on both sides of the ball, including quite substantially on offense. Despite the late-season struggles, an argument could be made to give Christensen another year. 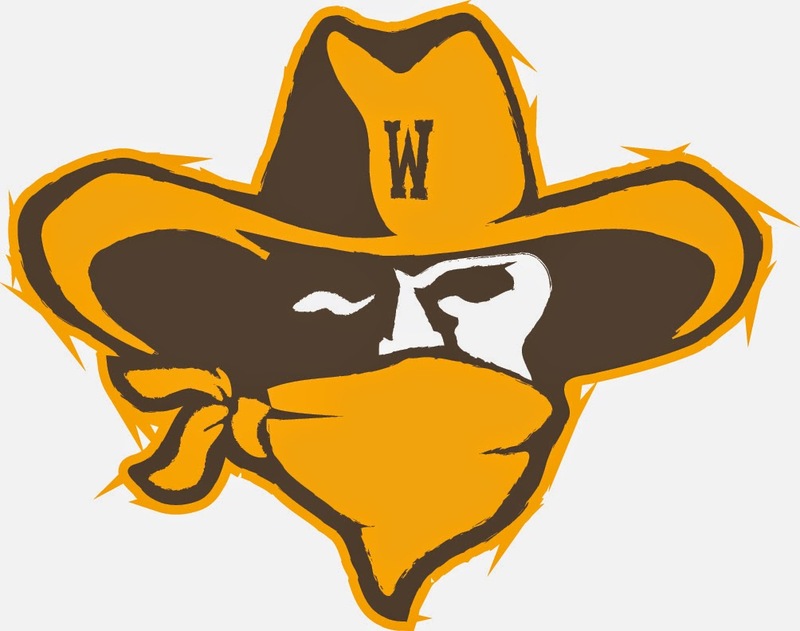 Still, with a coach like Bohl on the market, it's hard to blame Wyoming for the decision they made. The Cowboys four non-conference opponents in 2014 feature a little bit of everything. There is the requisite IAA school (Montana), a fellow mid-major (Florida Atlantic), and a pair of potential Rose Bowl teams (Oregon and Michigan State). The games against the Ducks and Spartans both come on the road, and even if they were in Laramie, a win would be a major upset. Montana is a strong IAA team, but the Cowboys should win. Florida Atlantic may hold the key to bowl eligibility for the Cowboys. The Owls surged late in 2013, winning their final four games to improve to 6-6, despite some coaching upheaval. The game is at home, so a win would not be a massive shock across the college football landscape. In league play, the Cowboys host Air Force, Boise State, San Jose State, and Utah State. Three of those squads were bowl eligible last season (all save Air Force). On the road, the Cowboys play Colorado State, Fresno State, Hawaii, and New Mexico. Colorado State and Fresno State were bowl participants last season, while Hawaii and New Mexico won just four total games between them. In order to attain bowl eligibility, the Cowboys will need to win at least four and potentially five (depending on the outcome of the Florida Atlantic game) league contests. Accomplishing this likely requires the Cowboys to split their four road non-conference games. Hawaii and New Mexico appear to be the most likely candidates for road wins, but as stated (so eloquently I might add) in the Nevada preview, shifting the venue of a few of these games would be beneficial to Wyoming's bowl chances. Craig Bohl. The most visible, and perhaps the most important person on any football team is the head coach. Bohl comes fresh from North Dakota State where he led the Bison to three consecutive IAA national championships. Perhaps more impressive than the three consecutive titles, was that Bohl did this while shepherding the Bison up from Division II. During his eleven years in Fargo, the Bison suffered just a single losing season and won more than three quarters of their games. A winning season and bowl game are certainly not a given, but Craig Bohl has the potential to be a slam dunk hire at Wyoming. Bohl has a great track record at IAA, and the bigger question could end up being, how long will he stay at Wyoming? Still, everything is not rosy headed into his first season. The defense was a major issue, particularly down the stretch in 2013, and his star signal caller decided to turn pro with a year of eligibility remaining. The non-conference schedule virtually guarantees two losses, but I think the Cowboys will at least manage a 6-6 mark in 2014 with bigger things to come down the road.